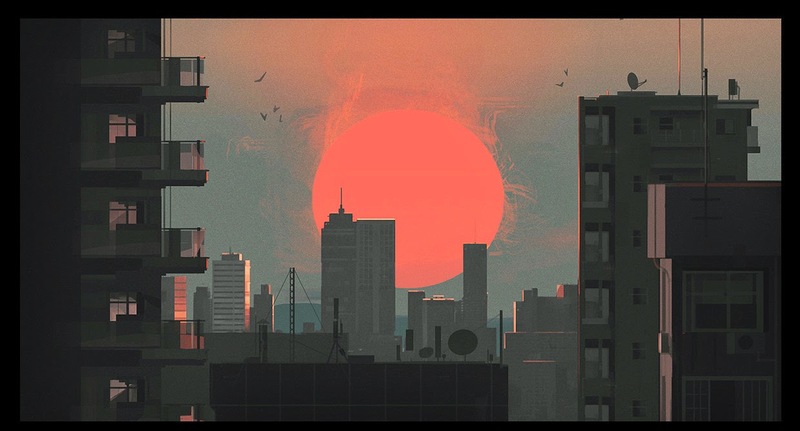 I love how Igor Piwowarczyk depicts the light of the sun in a rich, bold red. I can see some oriental influence within his paintings. I also love how all the details are simplified and that he uses a very restricted palette. 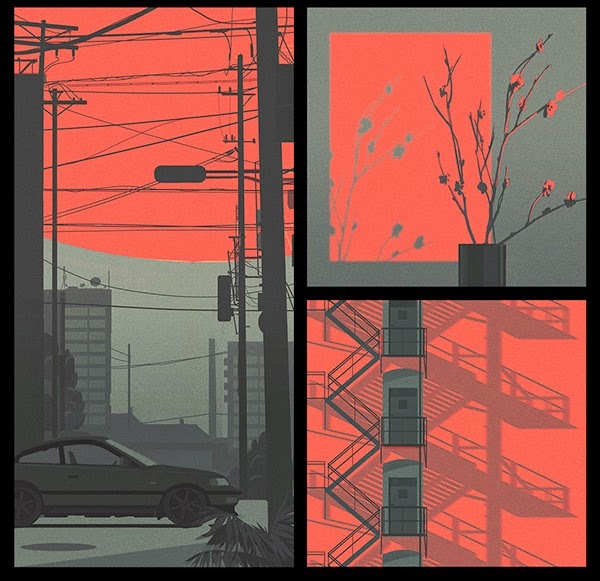 His style is really diverse and you should definitely check out his other works via his Behance.